Once a federal agency releases an API, there are several ways they can be used in apps. The most common method is through hackathons. Hackathons are where an agency or agencies present the API(s) and invite developers to create prototype apps. The apps are then presented to subject matter experts for suggestions on creating the final app. There are many government hackathons on a variety of public issues. Visit Challenge.Gov to learn about the latest app challenges. 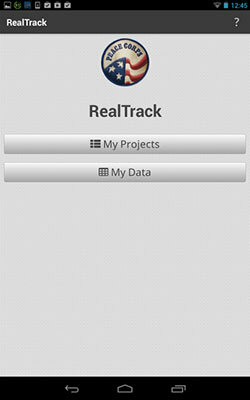 Neeraj Rao created the Peace Corp’s RealTrack app at a hackathon. Earlier in 2013, A Peace Corps volunteer created the RealTrack API, which was then presented at the Atlanta Random Hacks of Kindness hackathon. The RealTrack API was created as one of several ways to spur innovative solutions to help the Peace Corp worker as they improved communities around the world. When you view the Github page for the RealTrack app notice how well the entry screens make entering and viewing the RealTrack API data easier with a clean, intuitive mobile interface. This is a great example of app design for mobile devices. Federal hackathons are excellent ways to meet developers and API developers while learning more about the entire app development process. Even if you don’t know how to code, join with a team and you can learn much from watching how experienced developers brainstorm and implement solutions. Appsembler has 10 great tips for getting the most out of hackathons, but the best way to get started is by attending some of the upcoming hackathons listed on Challenge.Gov and joining the Challenges & Prizes Community.Each week in “The API Briefing,” I will showcase government APIs and the latest API news and trends. Visit this blog every week to learn how government APIs are transforming government and improving government services for the American people. If you have ideas for a topic or have questions about APIs, please contact me via email.